TJ Conrad did not grow up on a farm, but his home in McLean County was surrounded by agriculture. Providing labor on local farms was always a good way to make some pocket money, and he developed a fascination with farm equipment. While he had plans of attending college, TJ’s life plans changed course. He immediately started working after high school graduation as a mechanic for H & R Agri-Power, a local farm equipment, service and parts dealer. Some of his mechanic’s knowledge was provided by his father, and he learned more through job experience. He was eventually recruited by Whayne’s agriculture division, where he worked as a field mechanic for about 10 years. His job was to go to farm locations and fix equipment such as tractors and combines. He said he enjoyed the personal relationships he made with farmers across the region. TJ was recently promoted to his current position with Whayne as a product support and sales representative, where he promotes and sells parts and service packages. He works to tailor service plans to fit the needs of individual farmers, who may have varying types and brands of farm equipment. TJ said he does wish he had gone to a vo-tech school since it was more challenging to learn on his own, but he said it was ultimately his “soft skills” that helped him be successful at his job. Interested in a career in agricultural equipment mechanics? An Associates in Diesel Technology with the Agriculture Diesel Technician Track option (62-64 credit hours) is offered at Hopkinsville, Owensboro and Southeast Community and Technical College locations.  Diploma (50-55 credit hours) and certificate (20 credit hours) programs in agriculture equipment technology are offered at KCTCS locations in Ashland, Big Sandy, Hopkinsville, Maysville, Owensboro, Southeast, Somerset, and West Kentucky (Paducah).